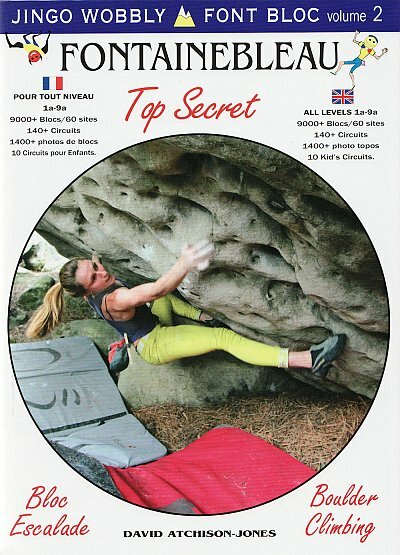 Fontainebleau is the world centre for boulder style climbing, with thousands of boulders scattered throughout the majestic forest. This 2nd volume covers all of the quieter areas that are 'deep' in the forest (TOP SECRET), hidden from the crowded hotspots. The climbing in these areas is stunning, with over 130 classic circuits that comprise of 5000+ problems. The beautifully clear graphics and 1400+ photo topos, also allows for an additional 4000+ off circuit problems to be included. This book gives an exceptional level of detail with problem styles, heights, and even crash pad ratings. This is the second in the series from Jingo Wobbly. Font Bloc Vol 1 - Fun Bloc, covers 7000 problems with 100 circuits. Cordee stock code CCE395; 9781873665152.